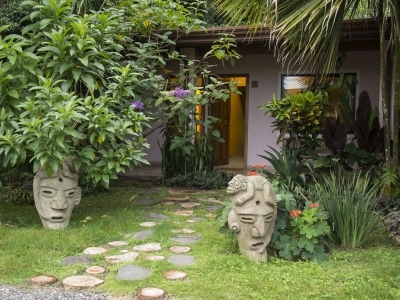 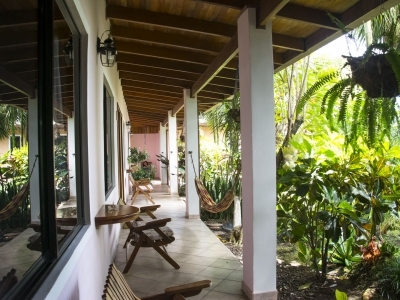 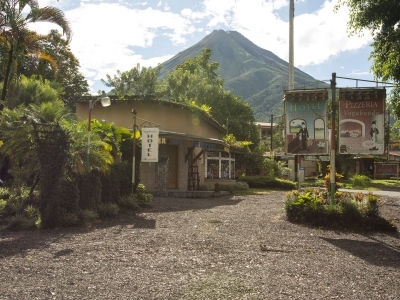 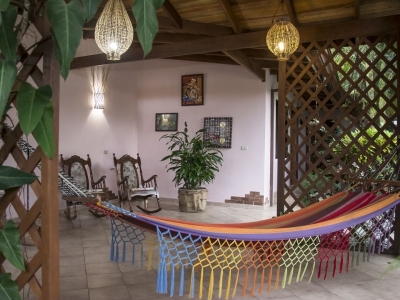 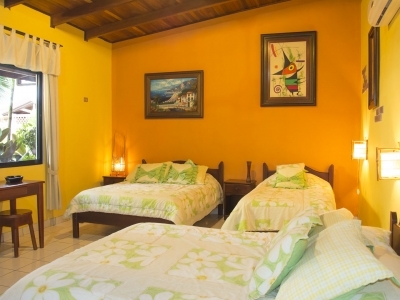 Vagabondo Hotel, Restaurant, and Souvenir Shop is located at the foot of the Arenal Volcano; one of Costa Rica´s most visited tourist attractions. 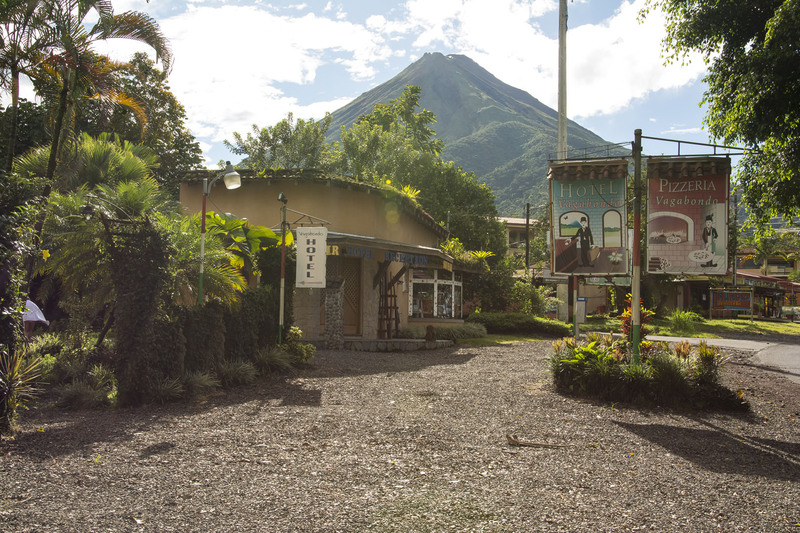 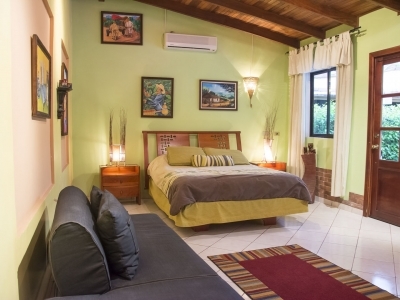 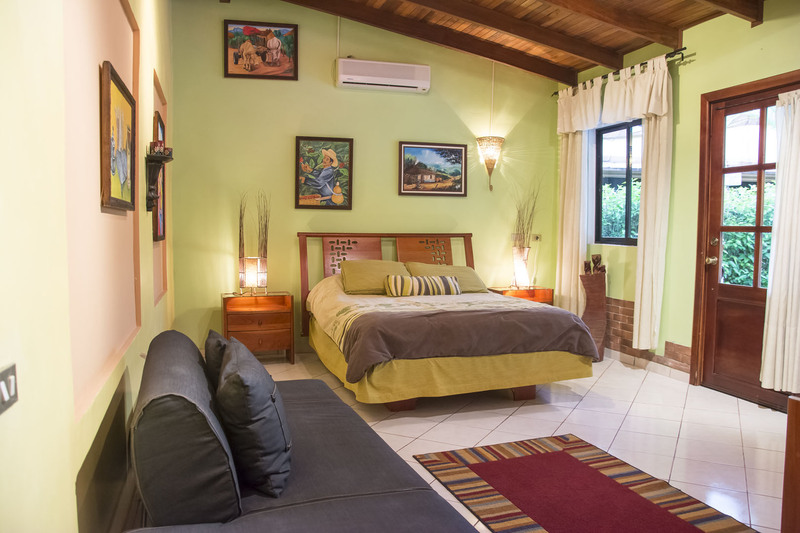 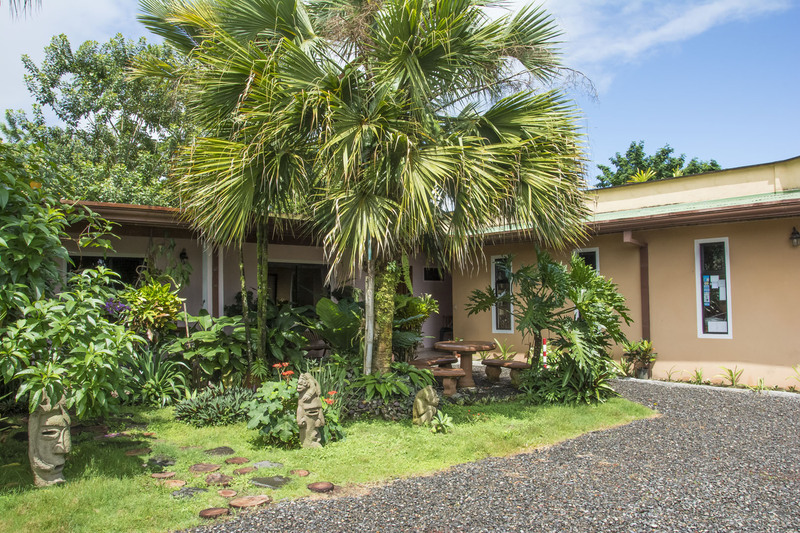 We are located just 2 km from downtown La Fortuna on the road to the Volcano and only 3.2 km from La Fortuna’s acclaimed waterfall. 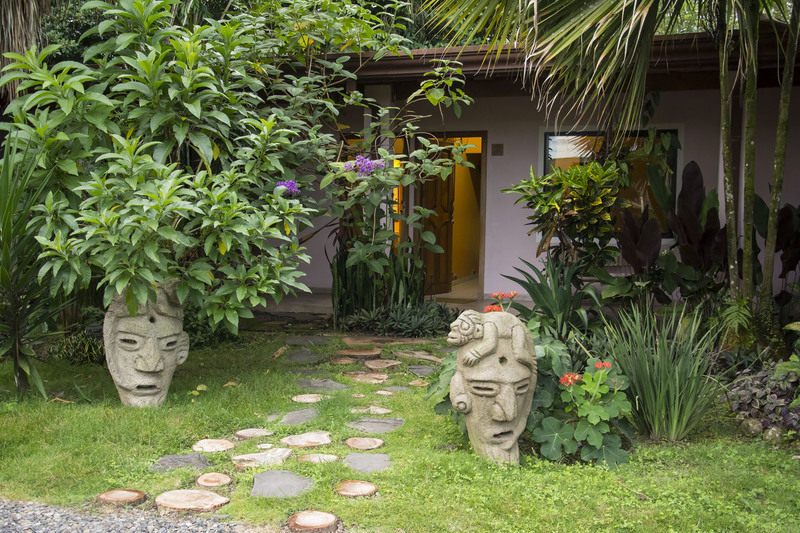 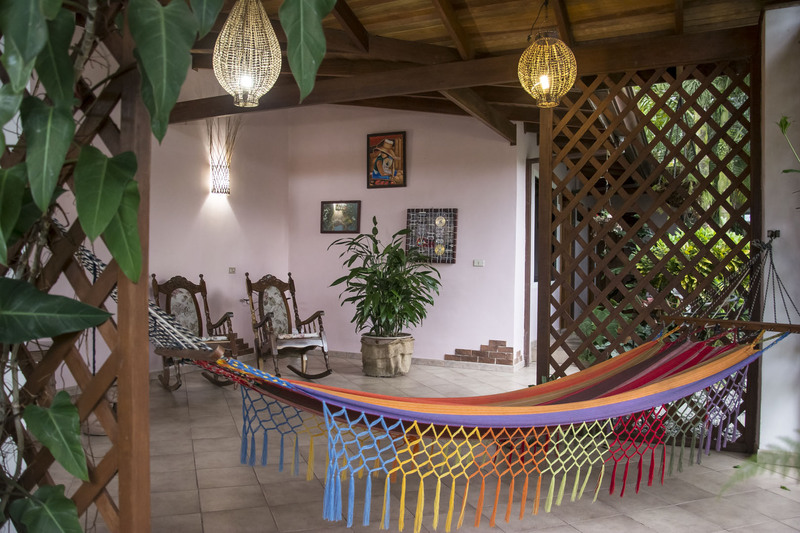 Our location is perfect to reach places like the National Park Arenal Volcano, Tabacon Hot Springs, Baldi Hot Springs and much more. 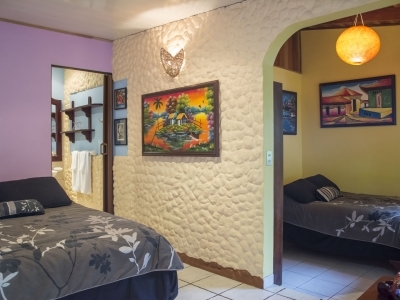 The hotel offers 10 rooms, each uniquely designed to suit the different needs of the each of our guests. 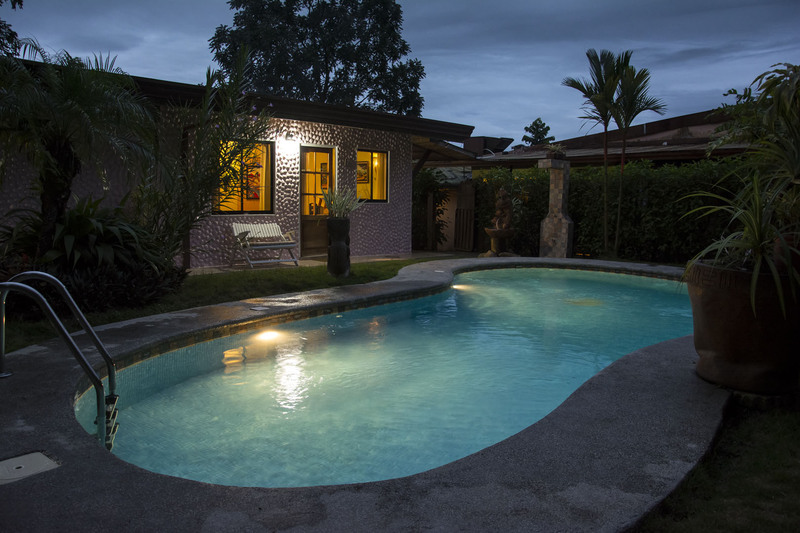 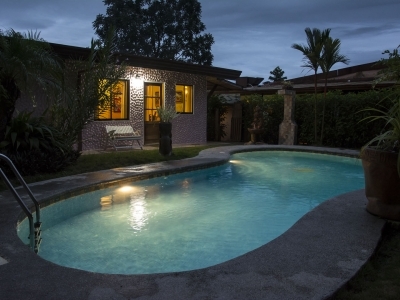 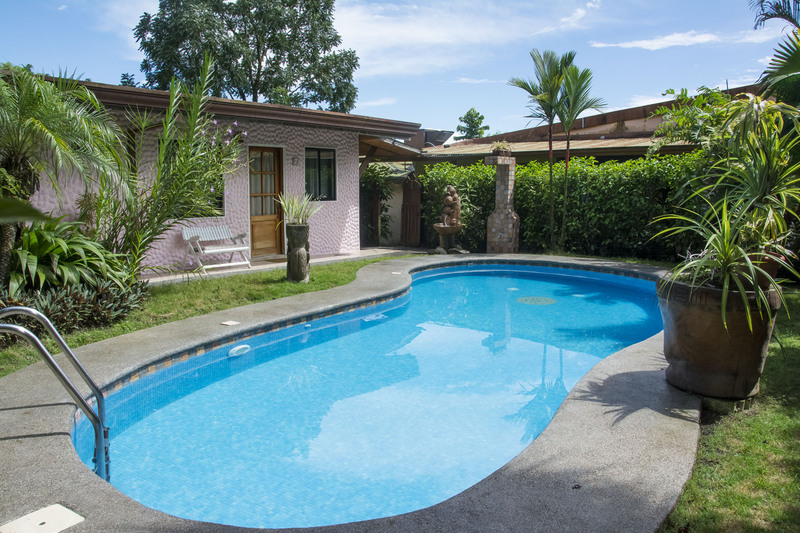 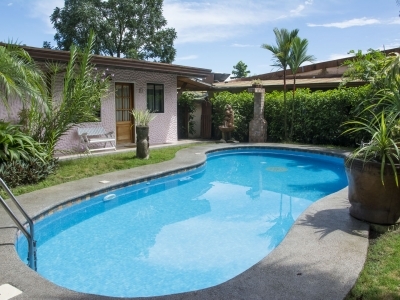 We offer a refreshing swimming pool, a social reunion area, and lush tropical gardens with a great variety of exotic plants. 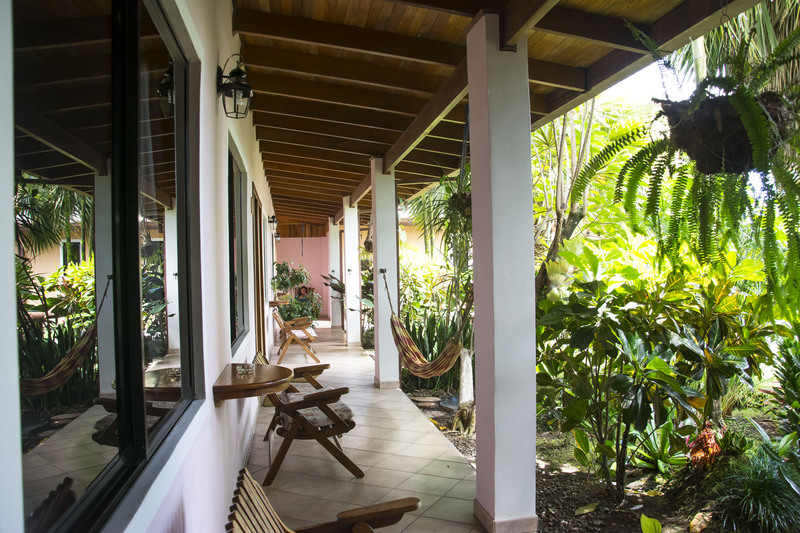 We offer free wi-fi connections throughout the hotel. 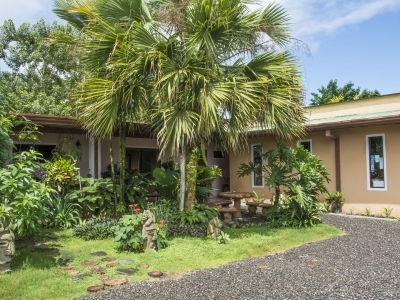 Our restaurant specializes in authentic Italian food and our wood oven pizza is has earned itself the reputation of one of the best pizzas in the area. 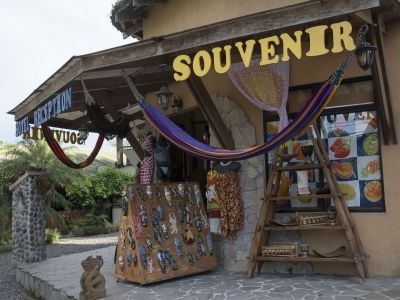 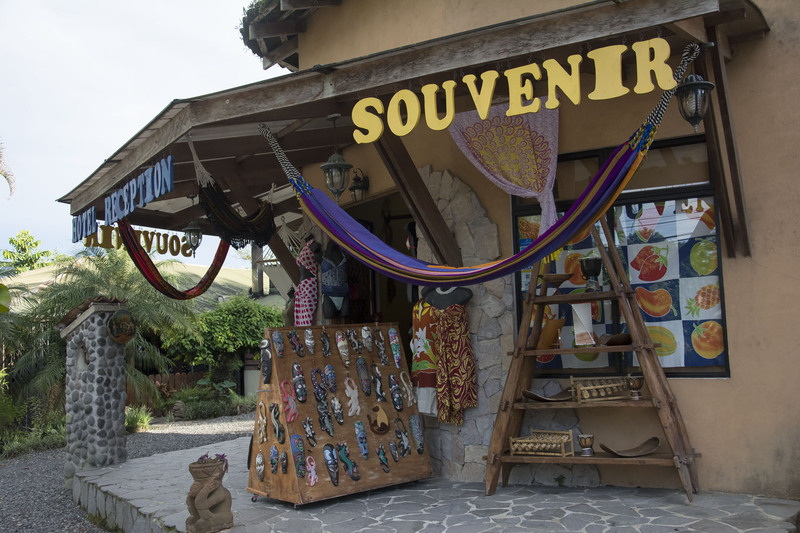 We also offer a complete souvenir shop with an enormous inventory of the most diverse and interesting gifts Costa Rica can offer. 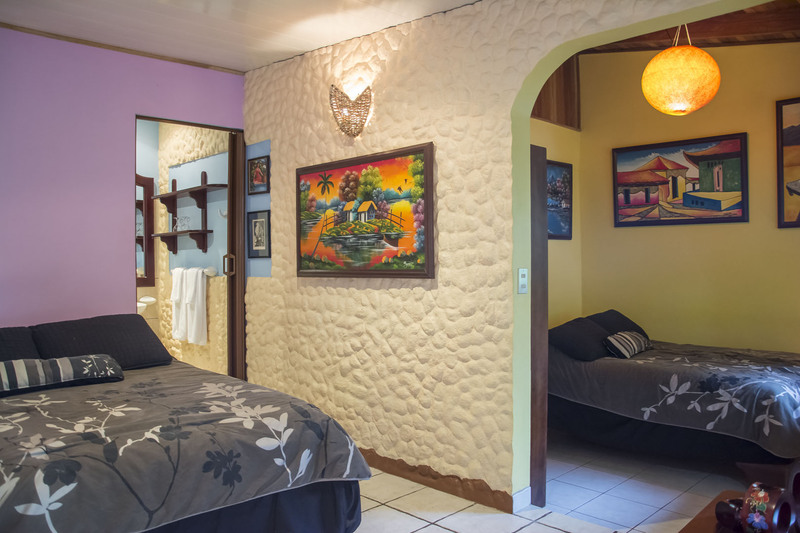 Hotel Vagabondo is owned and operated by a young Italian man, who puts pride, hard work, and love into every aspect of his business, to make sure you; our valued guests from around the world; come in as strangers, but leave as friends. 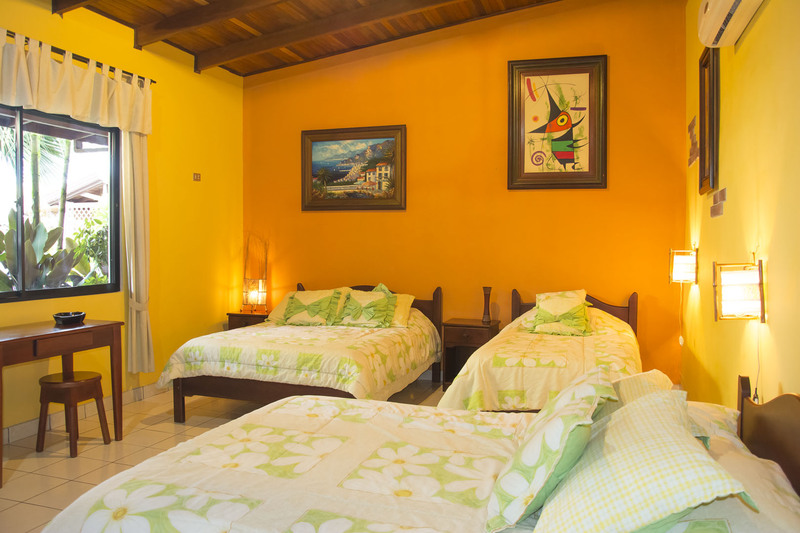 So please check us out – we love to have you stay with us and experience the Vagabondo treatment.